Even when you turn your gadgets off, if they’re plugged in they are drawing power. Since a lot of power outlets are located behind or under furniture or in otherwise inconvenient locations, we aren’t likely to unplug the devices we aren’t using. They keep draining electricity even though they aren’t serving a purpose. 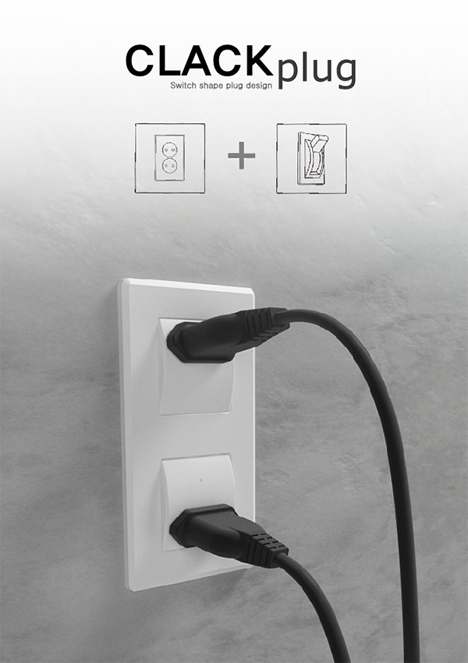 The Clack Plug from designers Goeun Choi, Jeongsoo Heo and Younghun Lim solves the “vampire power” problem by combining power outlets with the functionality of light switches. 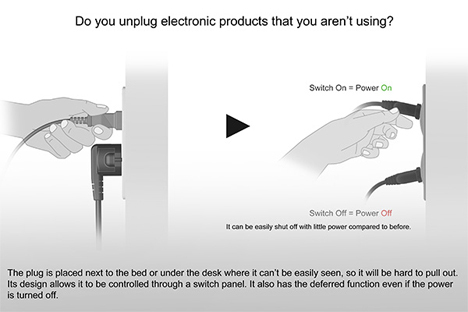 When you are finished using a plugged-in gadget, you can just flip the cord down to shut off power to the outlet. To use it again, flip the cord up just like you’re turning on a light switch. The design makes it simple to cut down on energy waste without stretching and contorting yourself into uncomfortable places to reach the plug. All you need is to get close enough to toggle the plug into an up or down position. 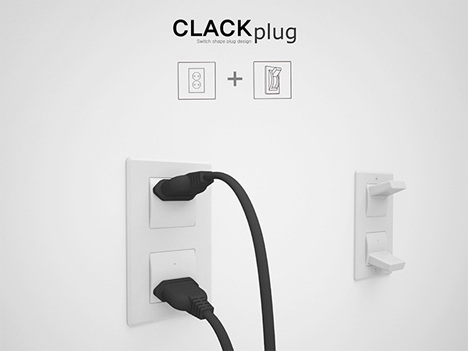 The Clack Plug is just a concept, but it’s an exceptionally clever idea that could save a single household hundreds of dollars in electricity costs.